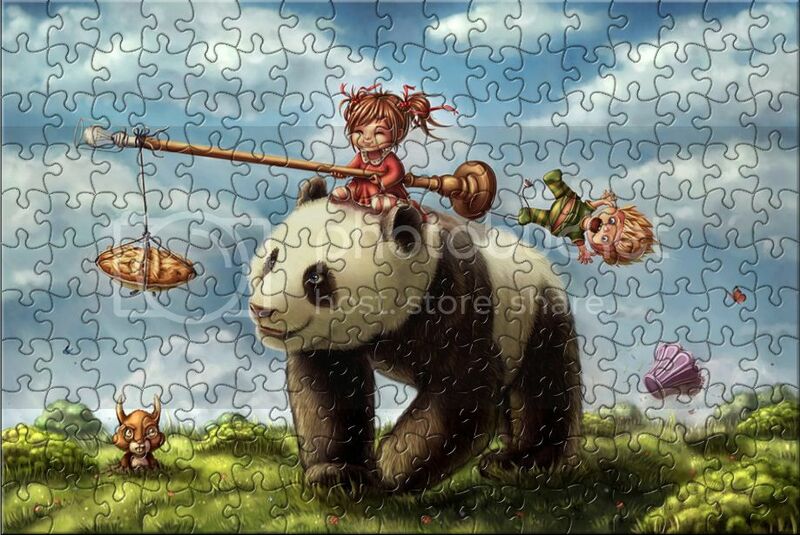 ThePuzzleArcade.net made a digital jigsaw puzzle of my Panda Ride yay! I didn't even know digital puzzles existed until now when they asked me about it. Was a long time ago I laid a puzzle, it was fun to do it again. And no need to occupy a table and loose pieces etc!